Don’t Hire An Uninsured Garage Door Contractor! Find Out Why. Garage door repair services should maintain three types of insurance. They are worker’s compensation insurance, auto insurance and liability insurance. Most garage door repair companies carry both auto and liability insurance, so if you ask them if they are insured, they will most likely say, “yes”. However, you need to be more specific when you ask a garage door company if they carry insurance. The type of insurance they all should carry, but perhaps only 50% of them do, is worker’s compensation insurance. 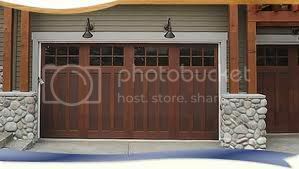 The problem is that the work that is done by garage door service technicians is dangerous. They are usually on top of a ladder and garage doors are extremely heavy. If something goes wrong, it can sometimes go very wrong. That makes worker’s compensation for garage door companies insurance very expensive. If a less reliable company encounters a worker’s compensation claim and doesn’t have insurance, they simply close down the company, then open as a new company. Unfortunately the injured technician, working for a less reliable company, is going to be cheated out of his worker’s compensation benefits. His only recourse is to bring suit. Unfortunately, he won’t sue his employer, who has already stripped any assets he may have had in his corporation and opened another one. He’s going to sue you. The lesson here is to check your garage door company for all three types of insurance, but be most concerned about a lack of worker’s compensation insurance. This is true of any company sending technicians or workers to your home. Of course you have homeowners insurance, right? There is one possible problem with homeowner’s insurance. Depending on the way your particular insurance company may operate, they may refuse to defend you or pay a claim because you didn’t use due diligence in hiring the contractor. Now here’s the important part. Be sure to ask any contractor who comes to your home for all his insurance documents. That includes auto, liability and worker’s compensation. If he can’t produce the documents, look for another contractor. You’ll be happy to know that Phenix City Garage Door carries all types of insurance necessary to protect their customers from possible adverse circumstances resulting from an accident. Give us a call at 334-577-4169. We’ll be happy to give you a firm quote over the phone for any garage door repair or installation you may need. Doing Garage Door Repair In Phenix City Since 1994. Call 334-577-4169.